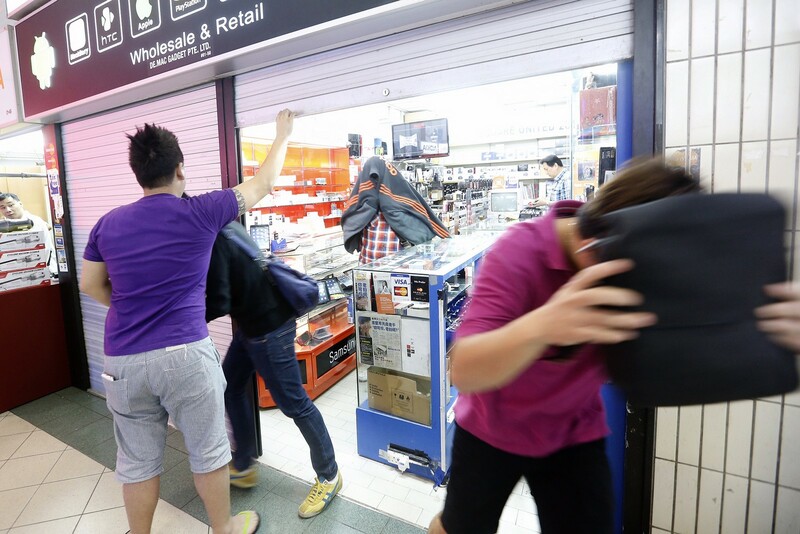 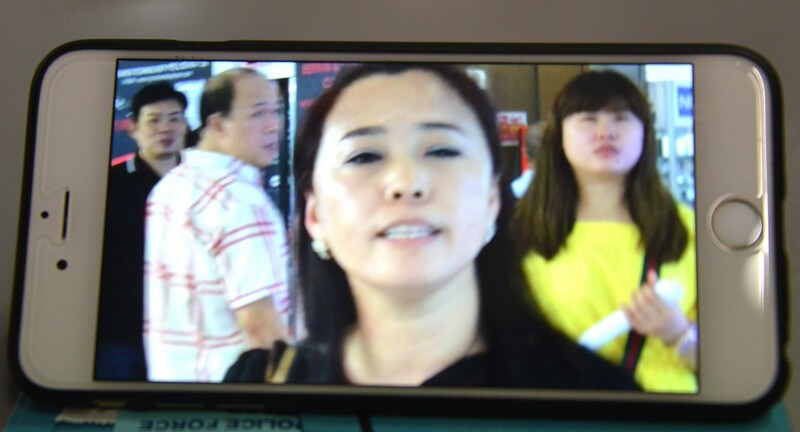 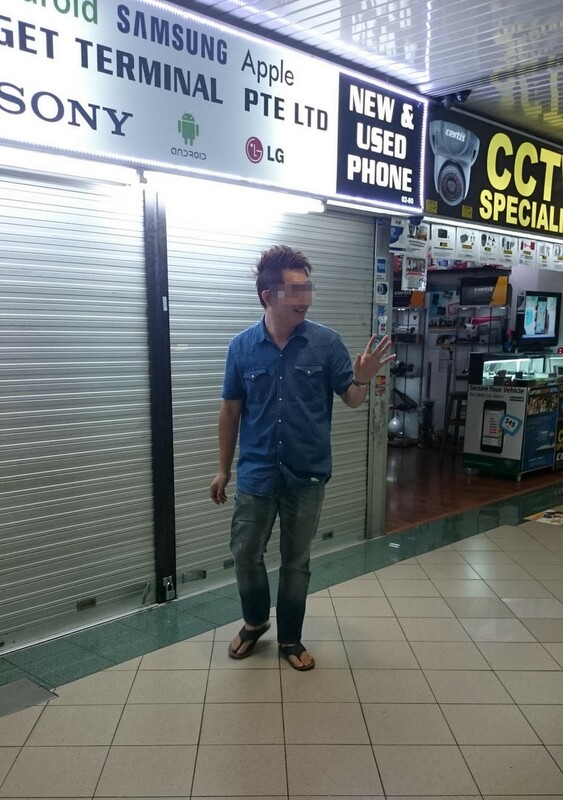 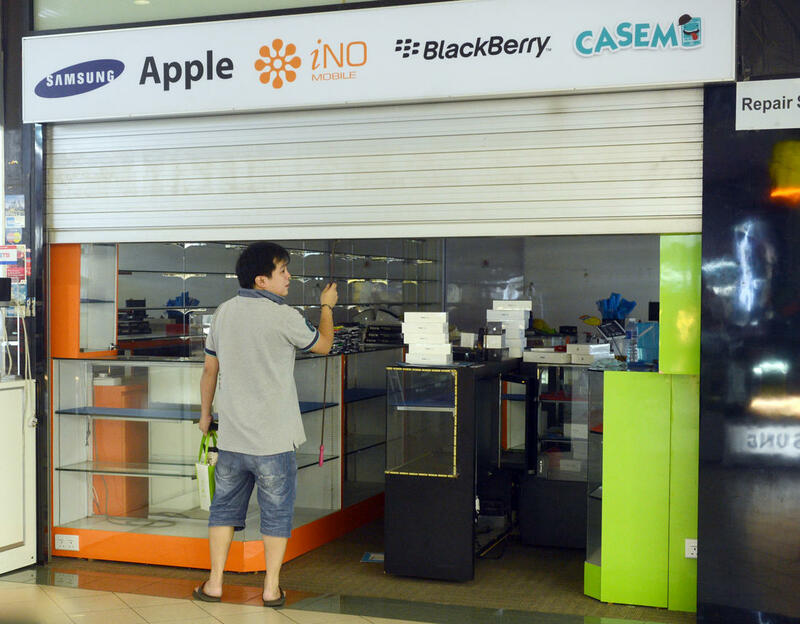 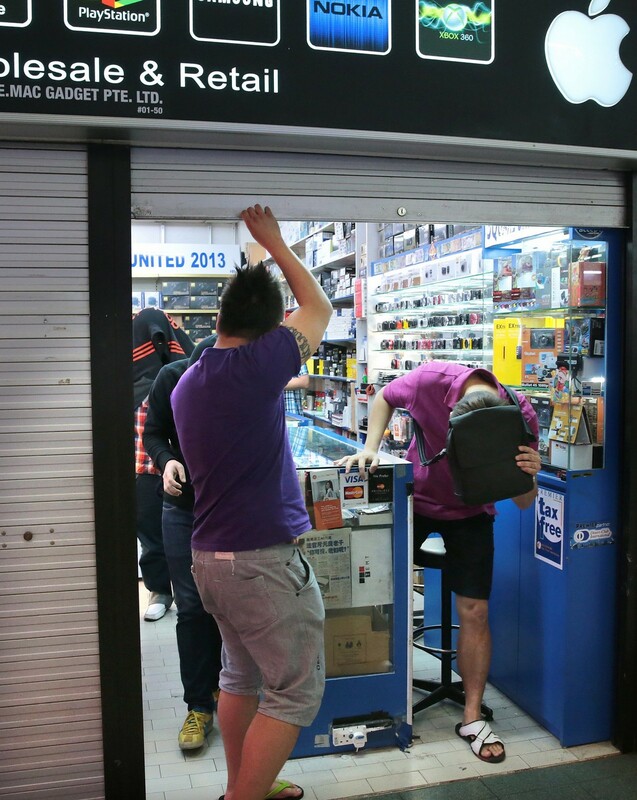 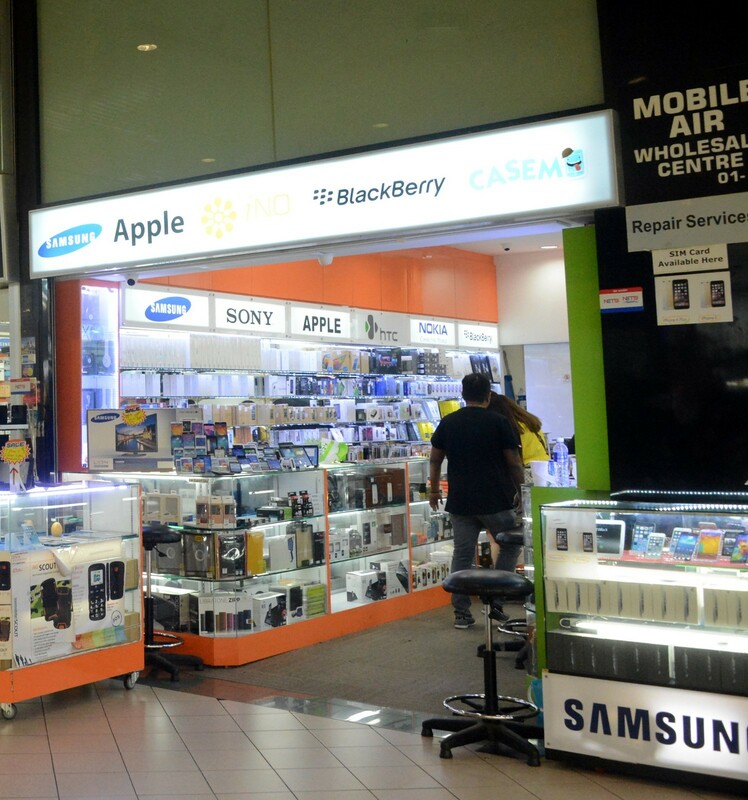 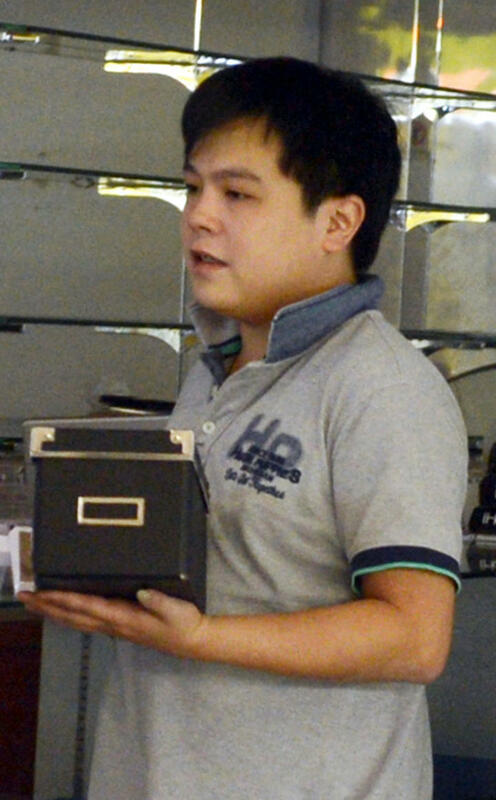 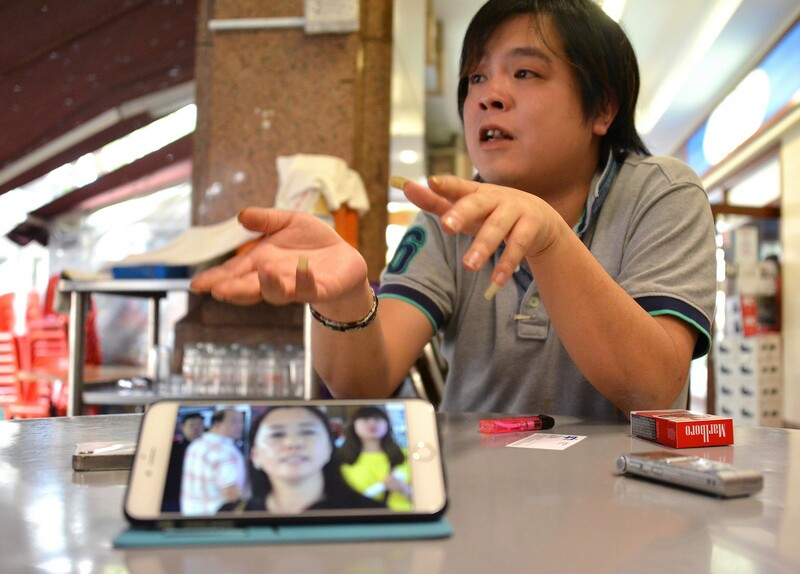 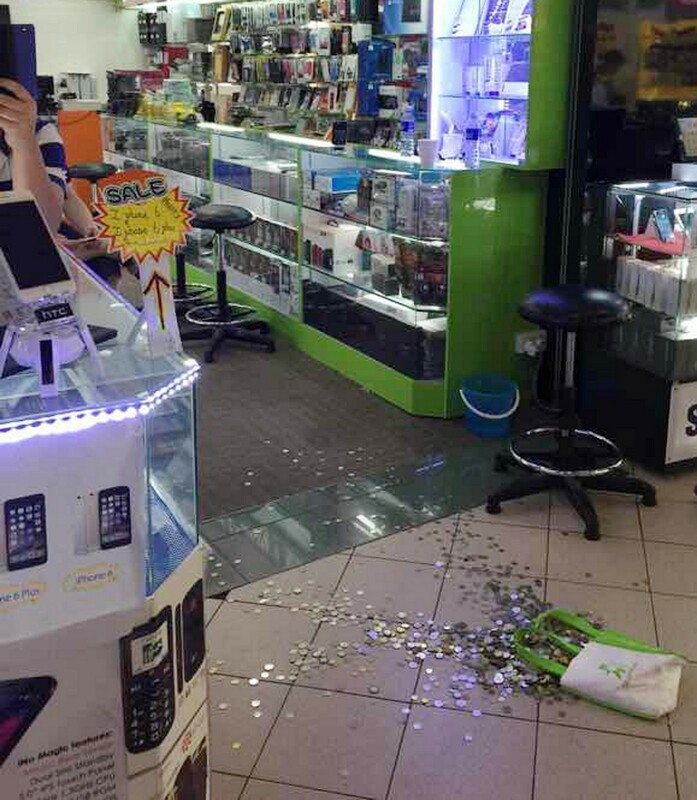 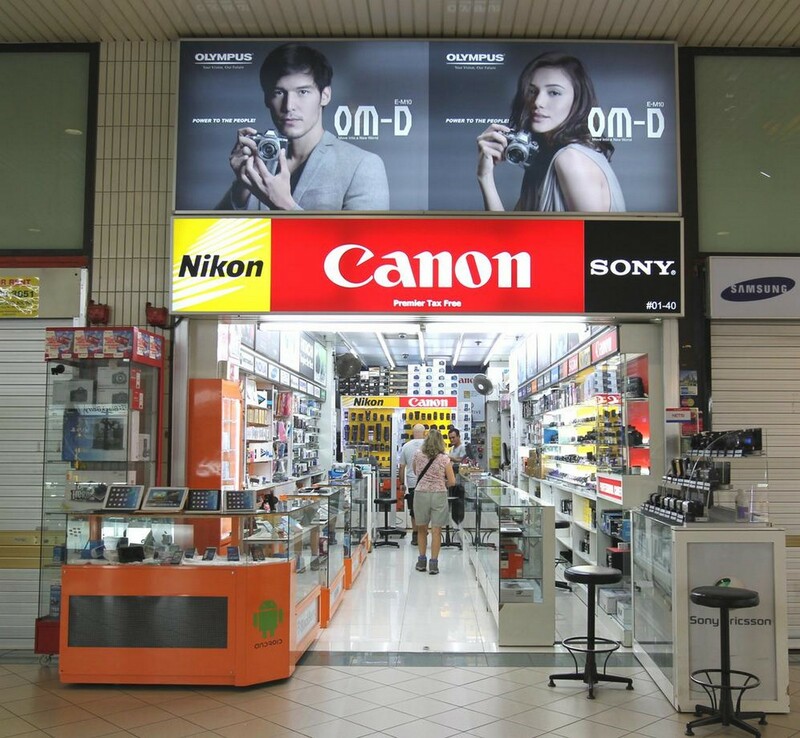 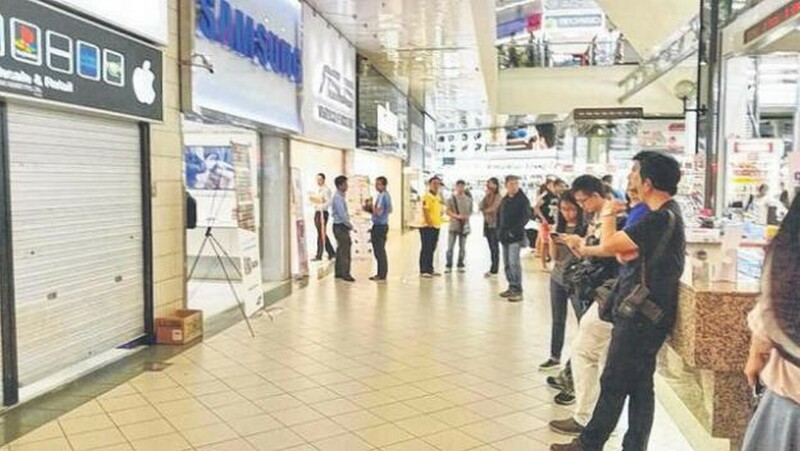 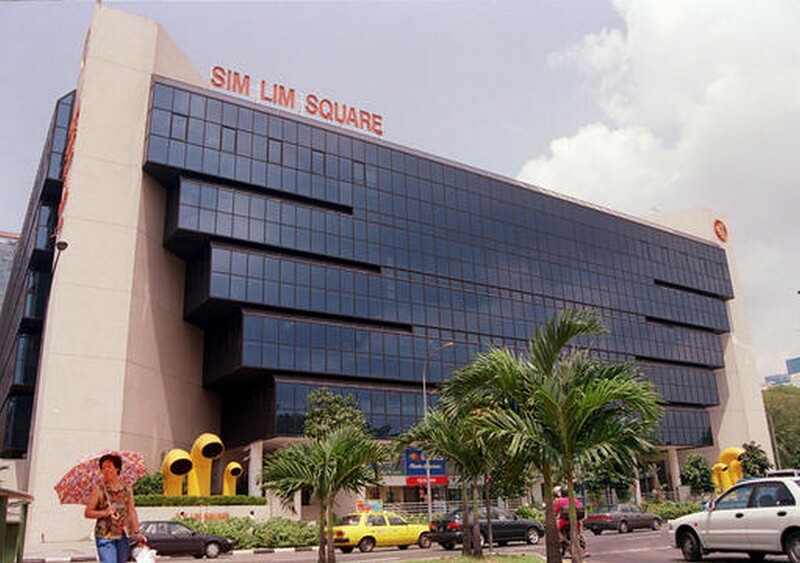 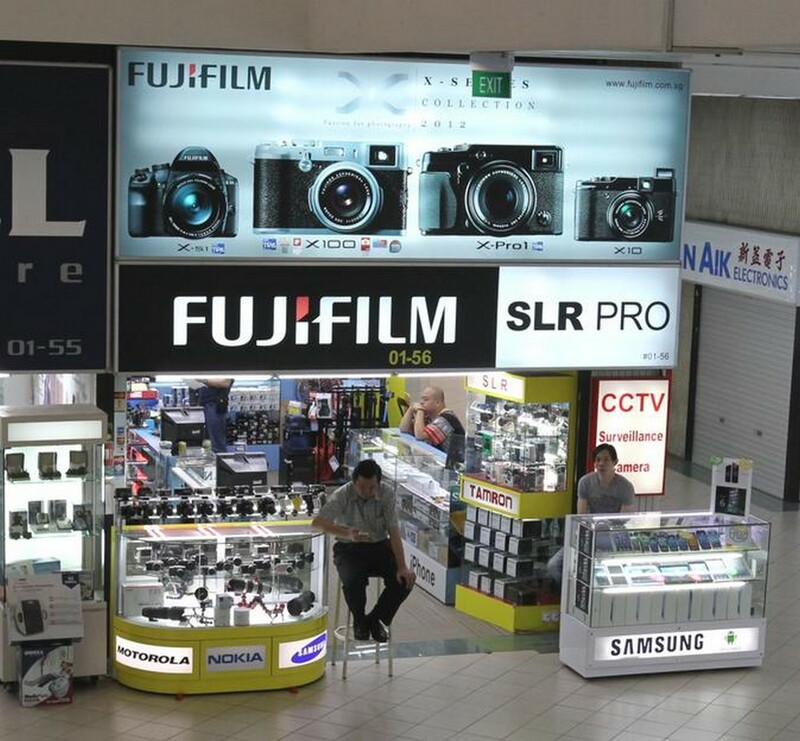 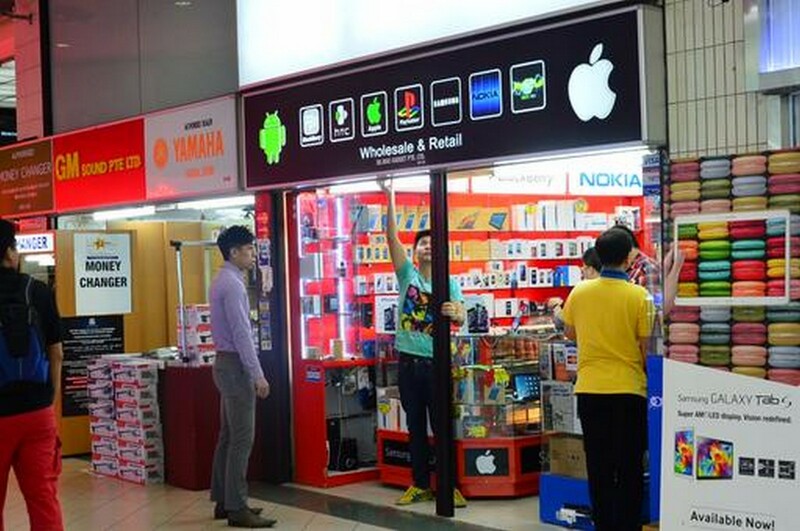 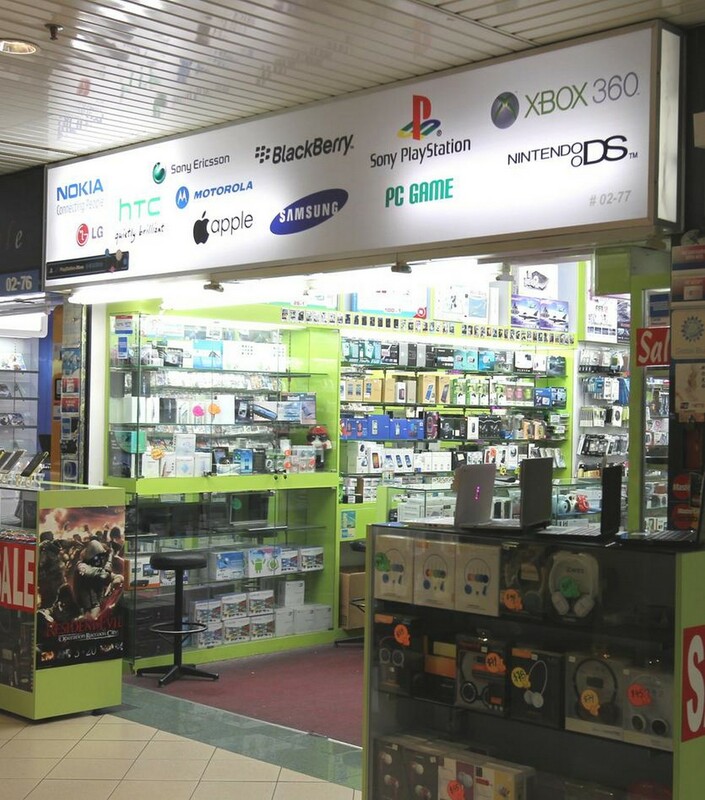 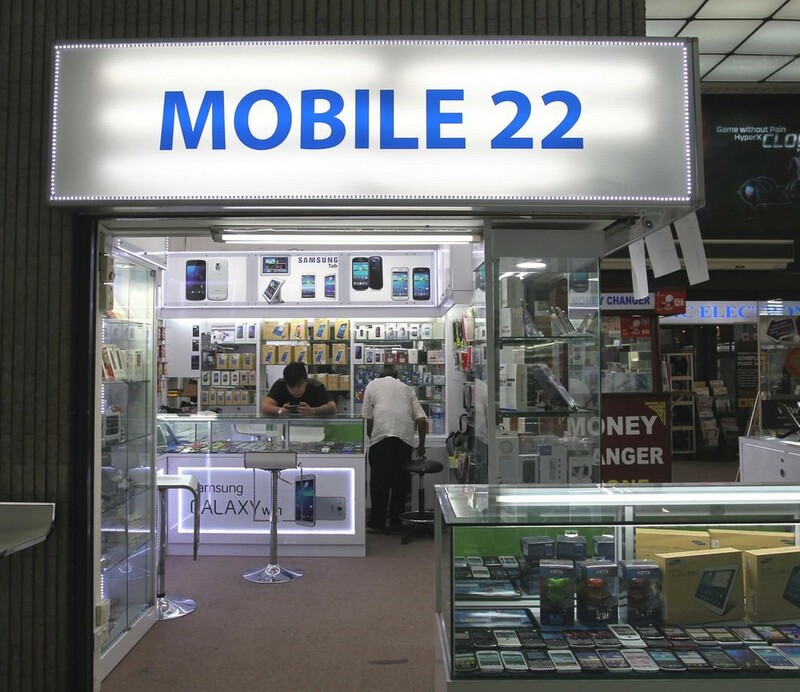 SINGAPORE - General manager of mobile phone shop Gadget Terminal at Sim Lim Square claims that customers who faced problems at his shop can look for him to fix the situation. 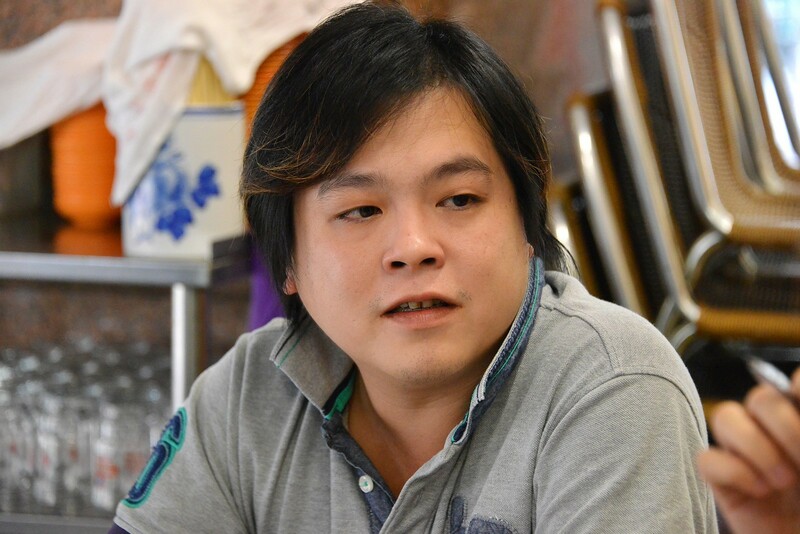 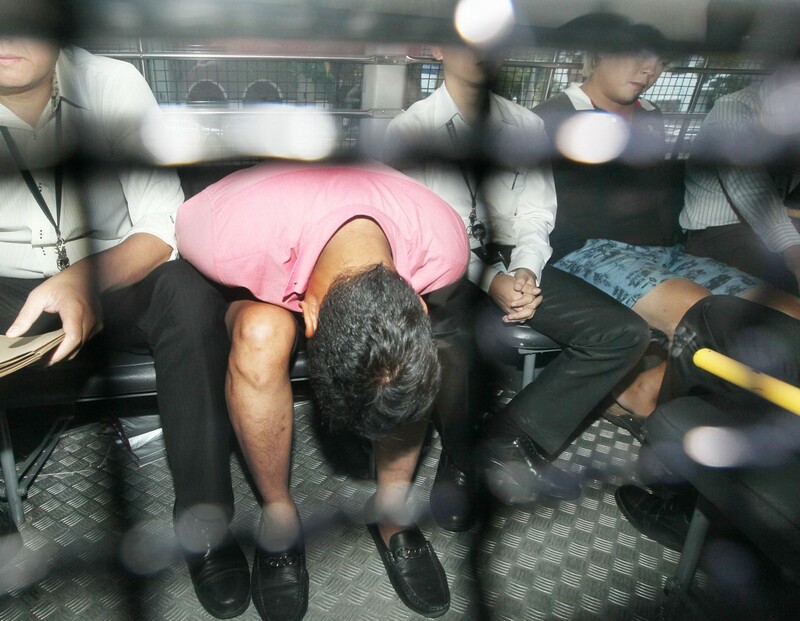 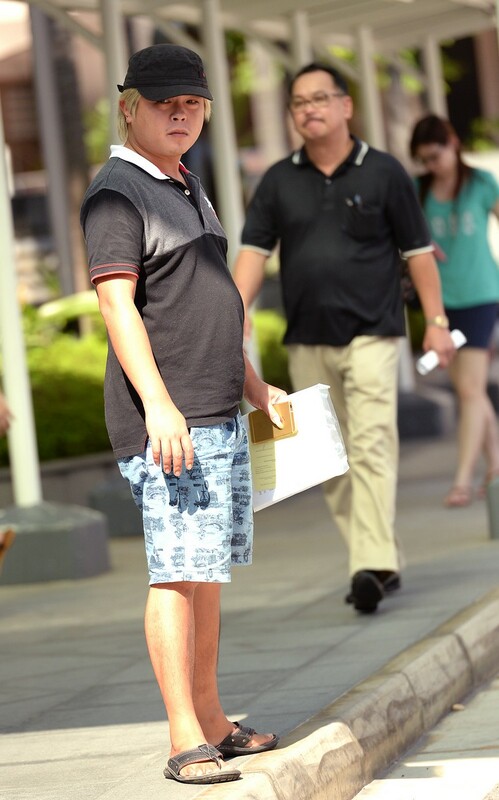 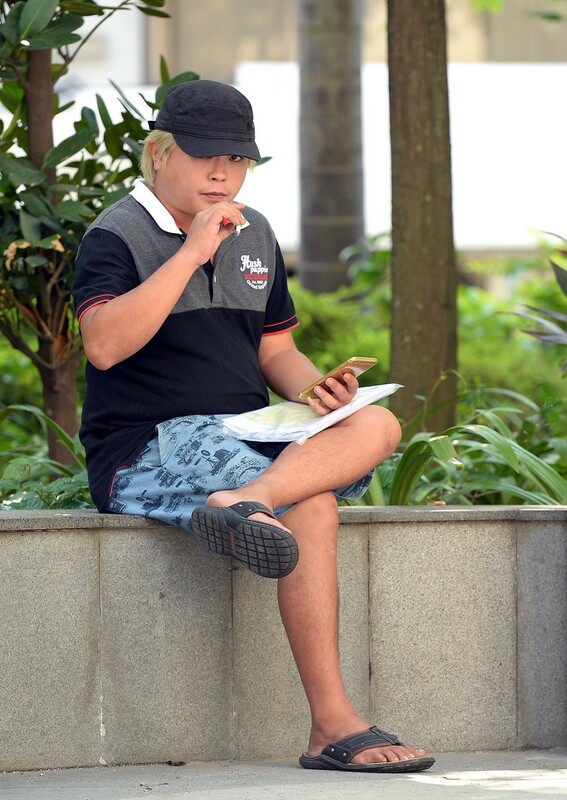 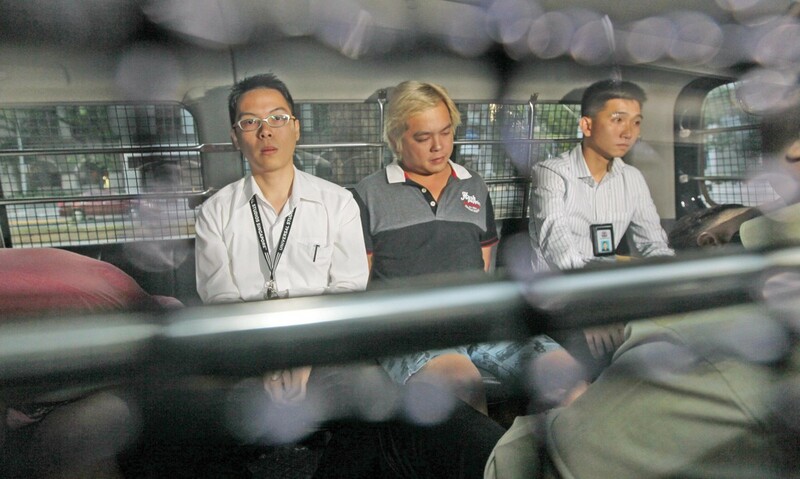 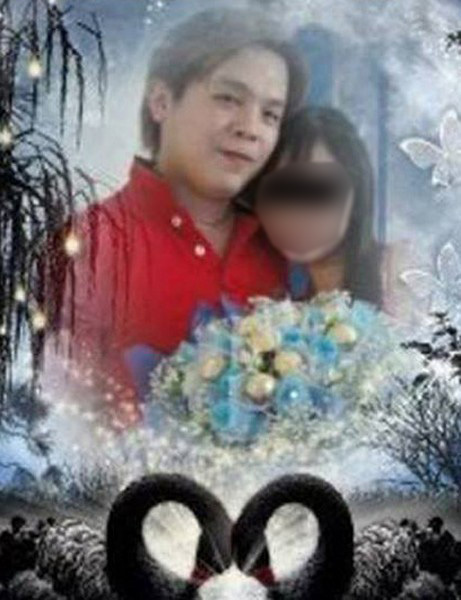 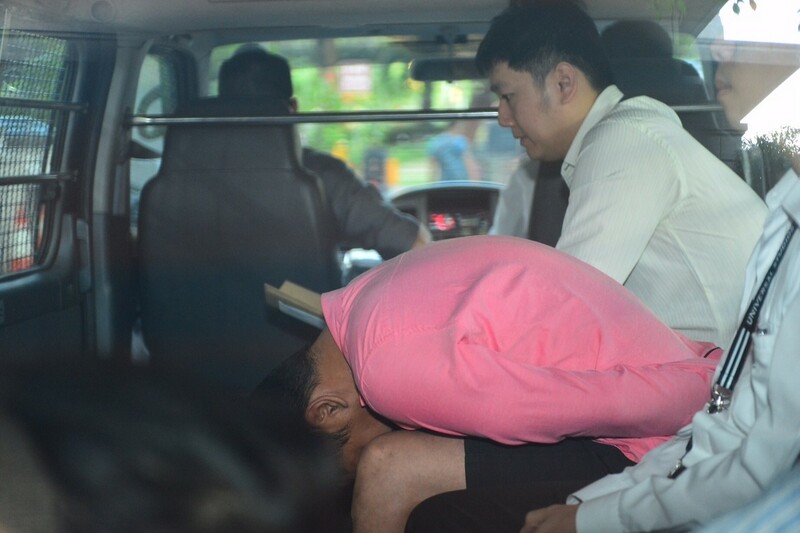 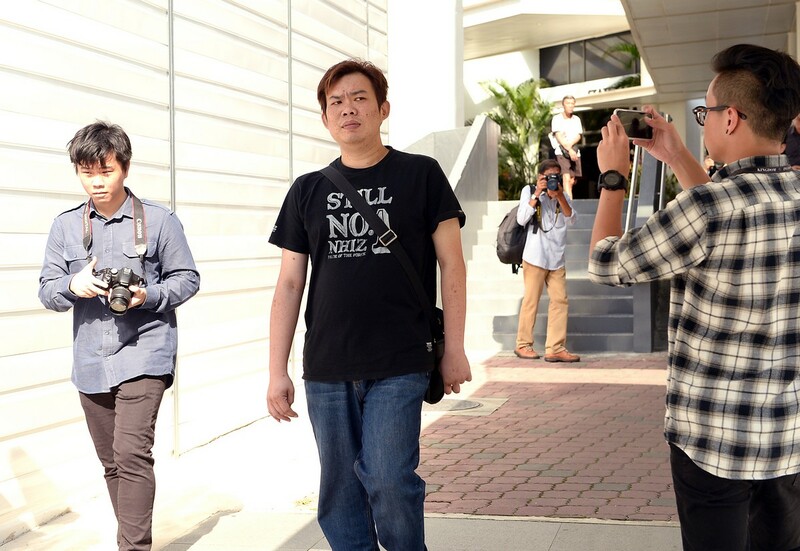 Mr Gary Chung, 32, told reporters from Lianhe Wanbao that he will not "run away". 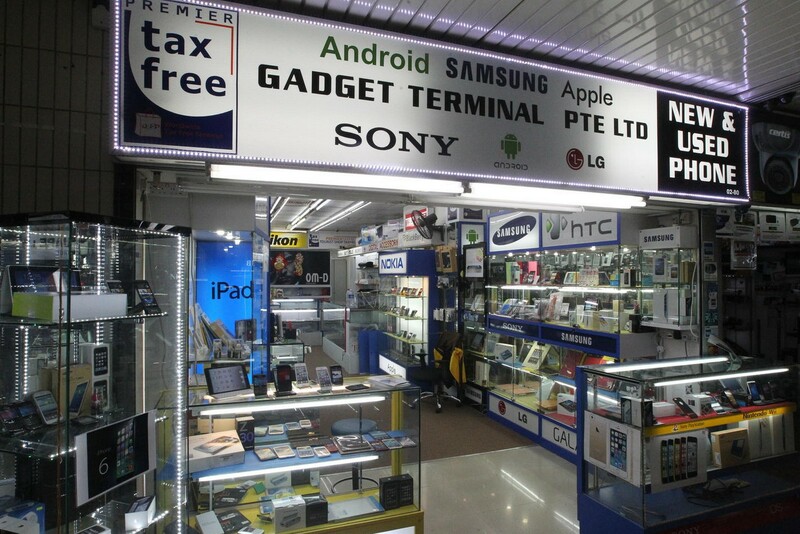 Located on the second level of the mall, Gadget Terminal tops the "blacklist" published by the Consumer's Association of Singapore (Case). 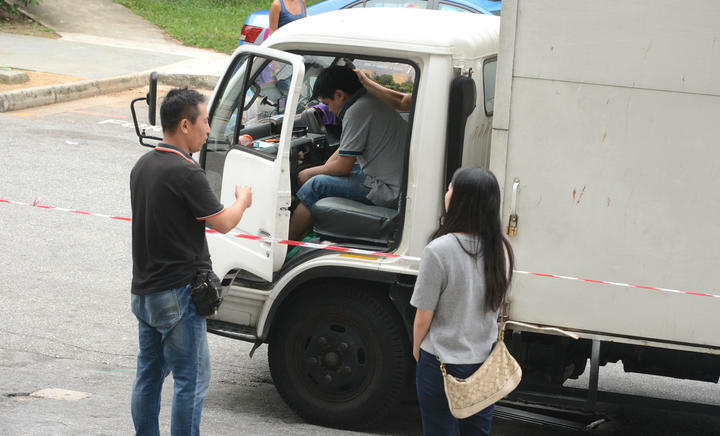 A total of 14 complaints were made in the last three months. 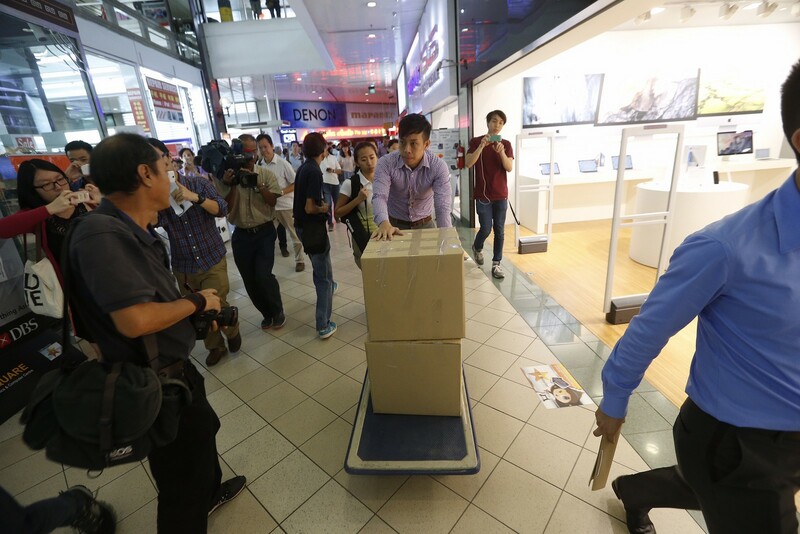 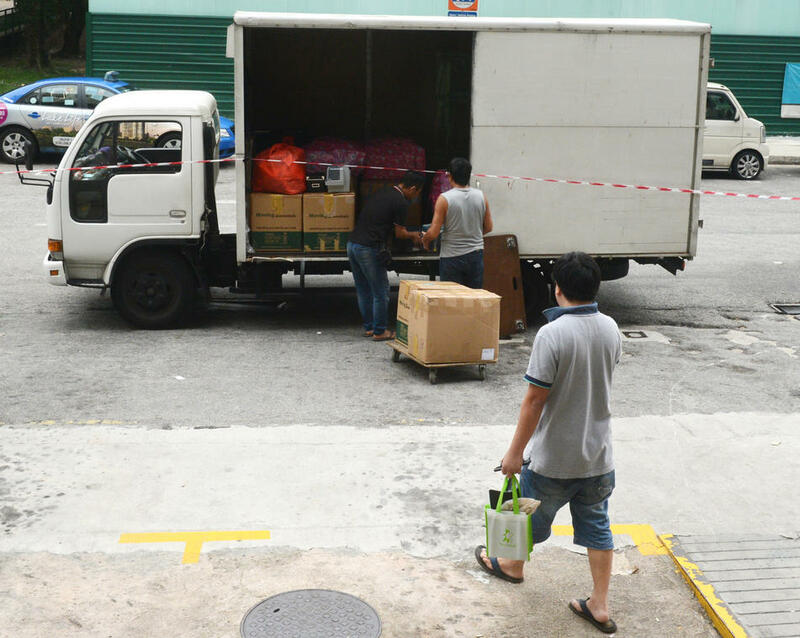 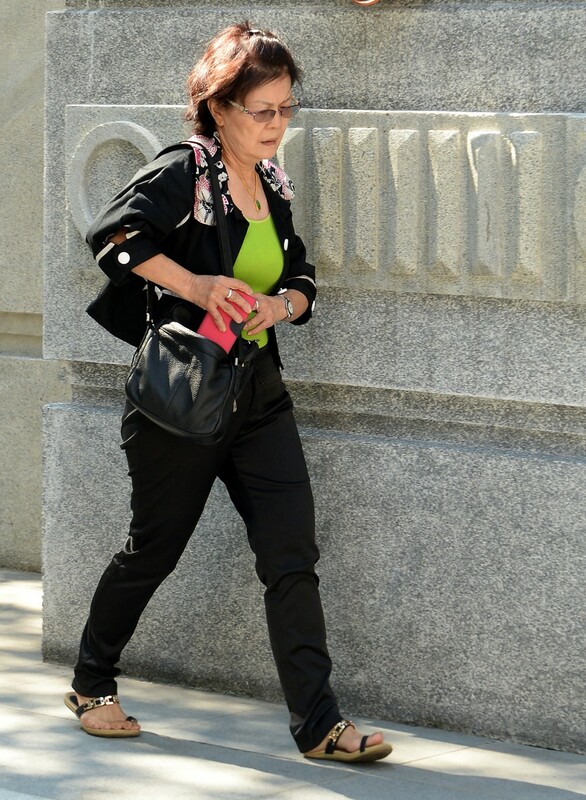 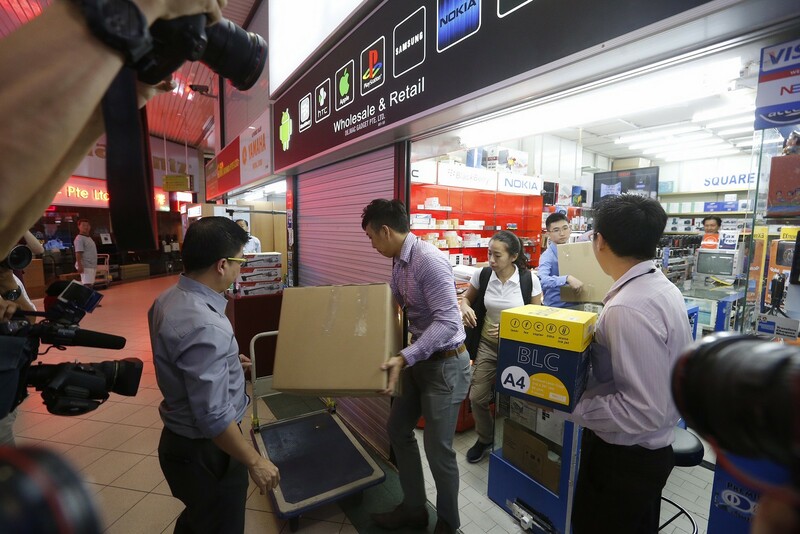 Mr Chung spoke to reporters after a one-hour raid on Thursday afternoon, where police officers were seen removing cardboard boxes from his shop. 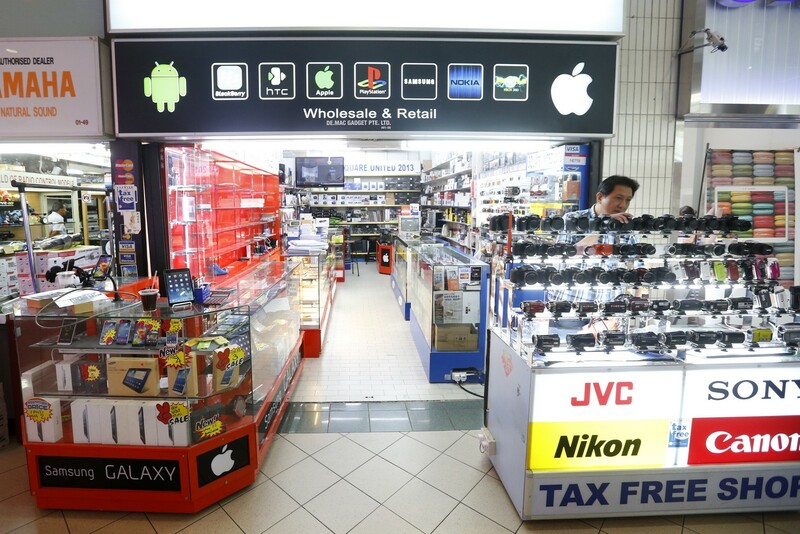 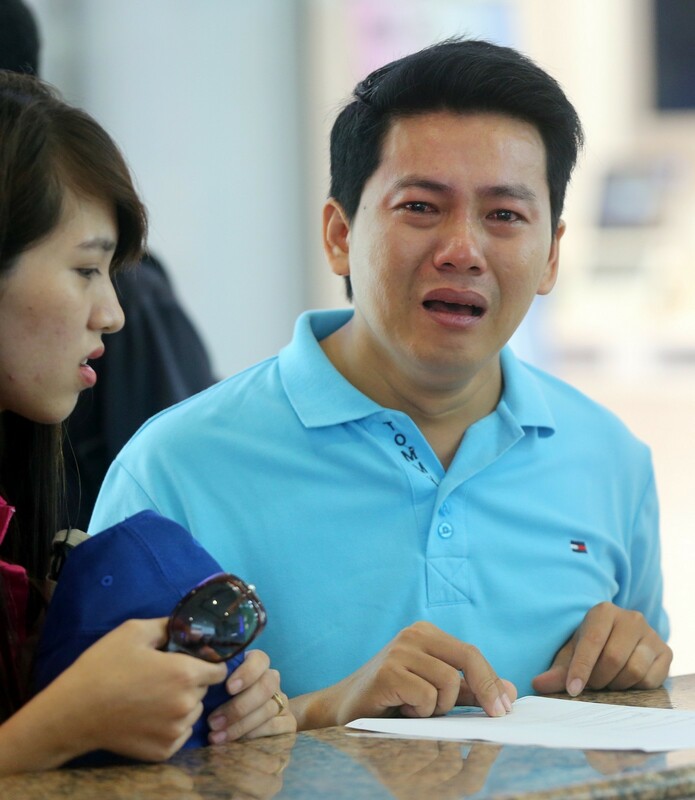 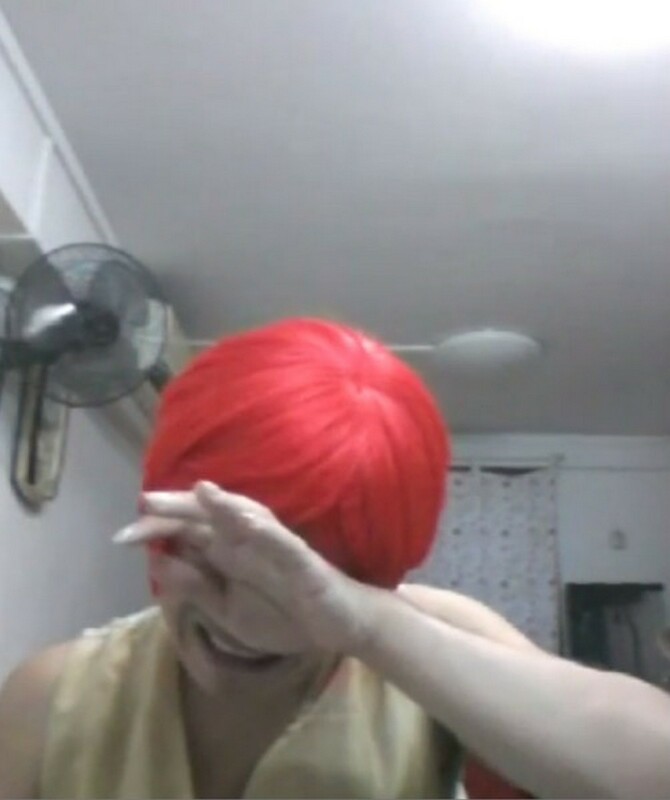 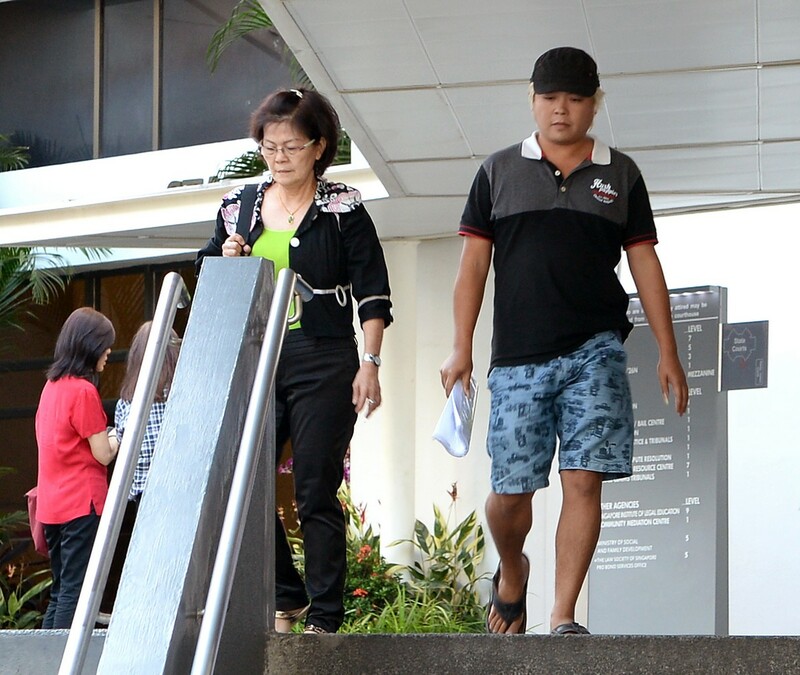 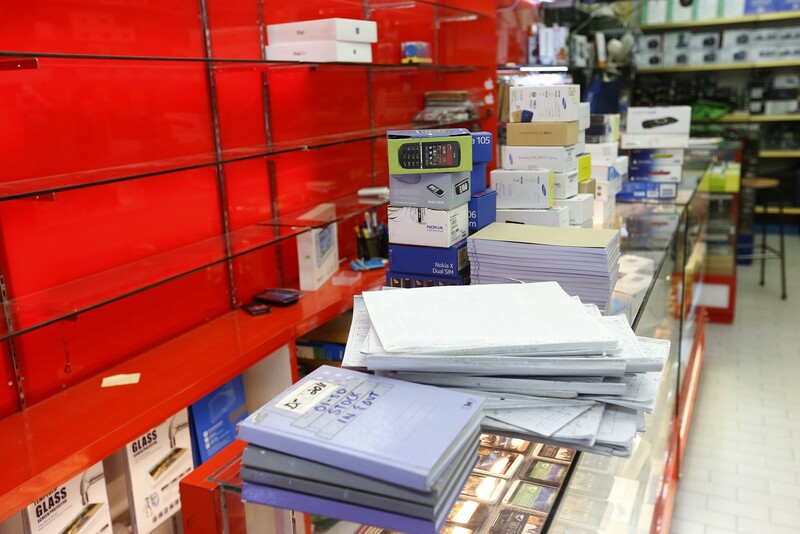 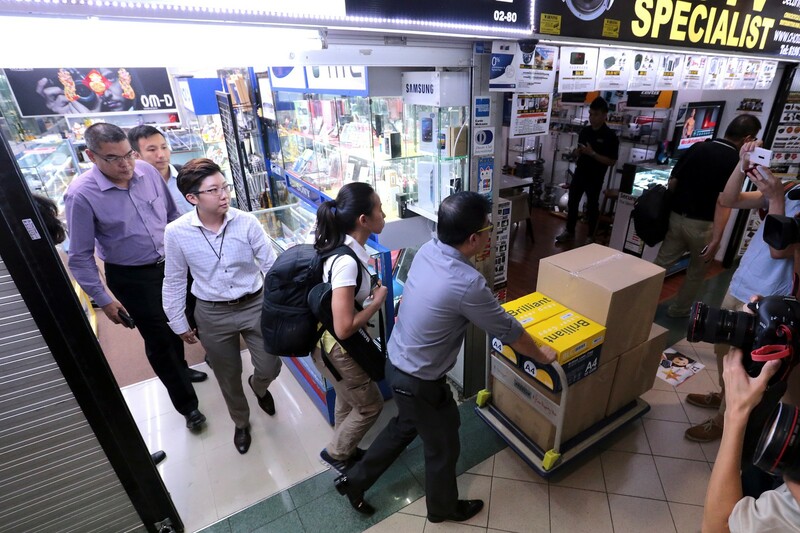 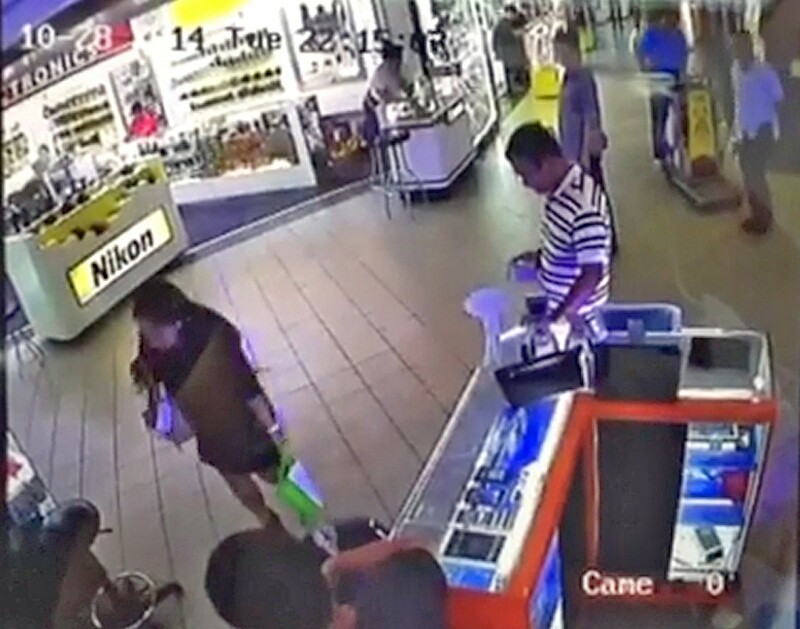 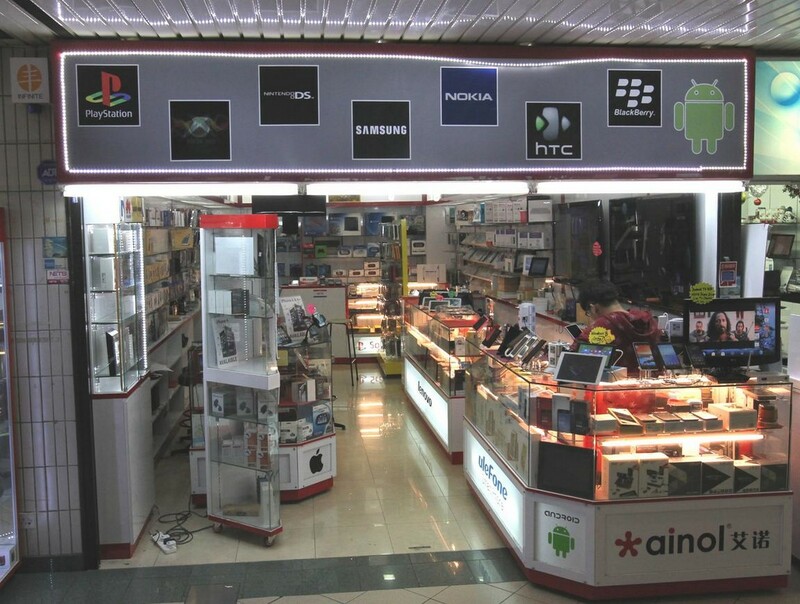 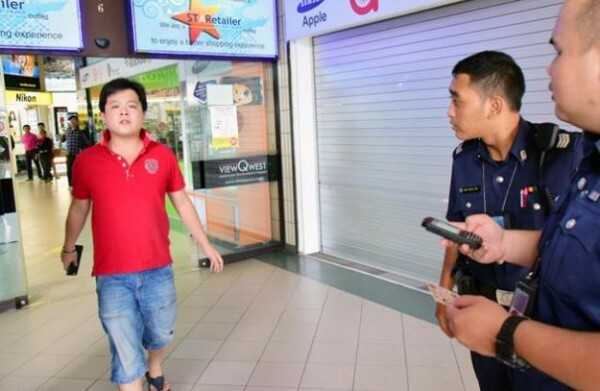 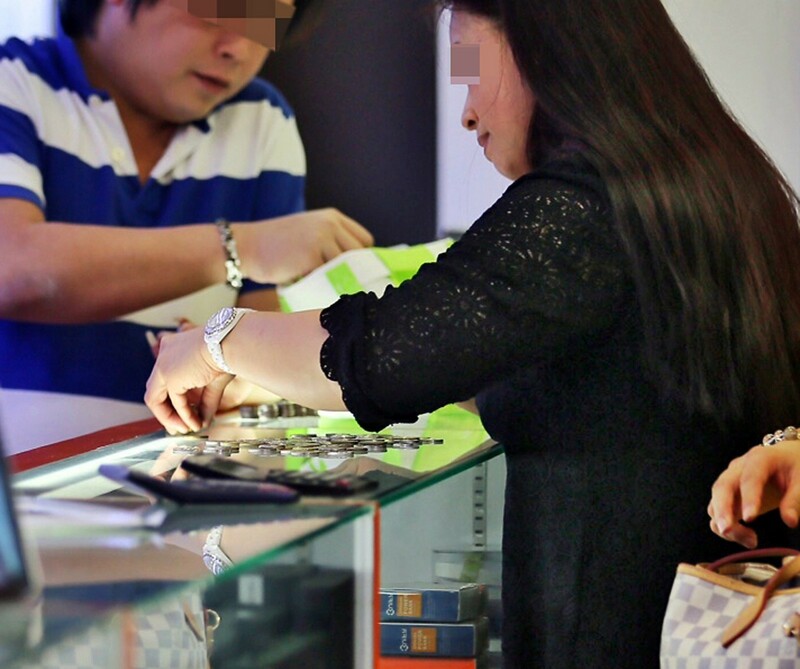 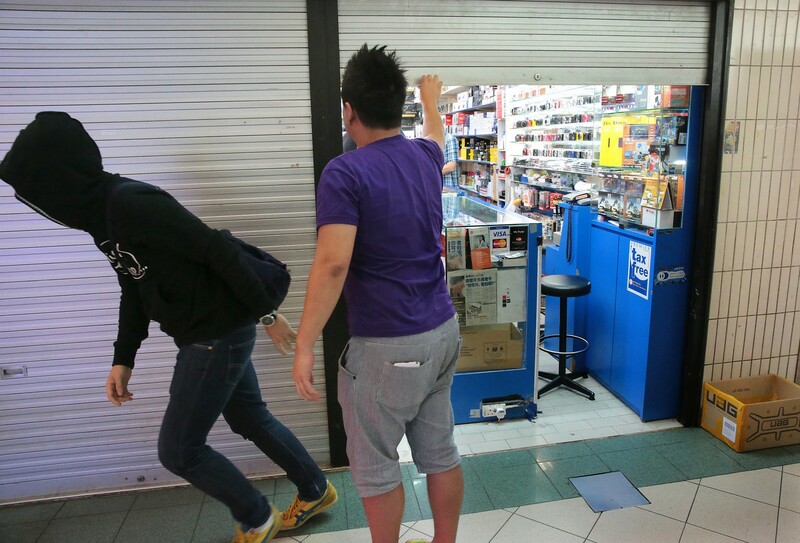 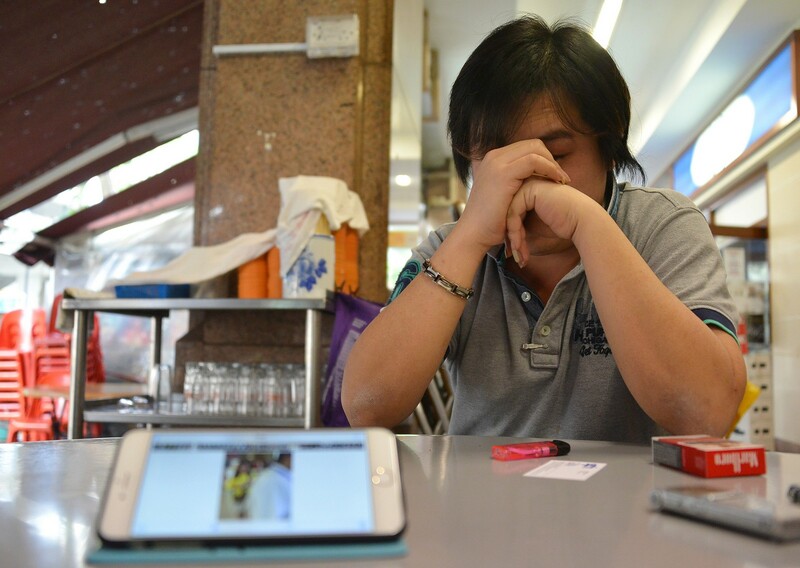 He said that Gadget Terminal, which has been in operation for over a year, was registered under his wife's name and that he hardly goes to the shop as he lives in Malaysia. 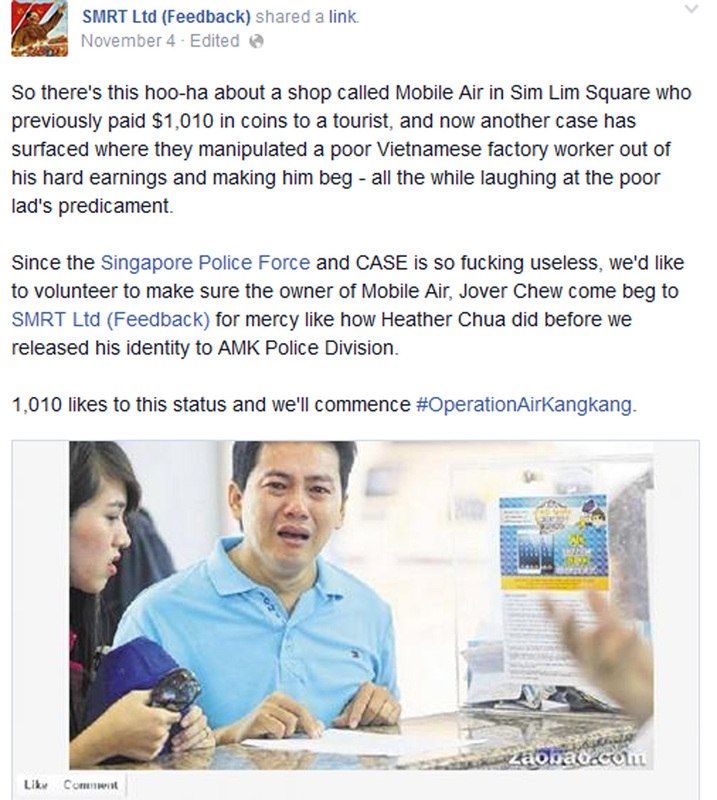 But when he heard about the raid yesterday, Mr Chung said he immediately rushed over from Johor Baru. 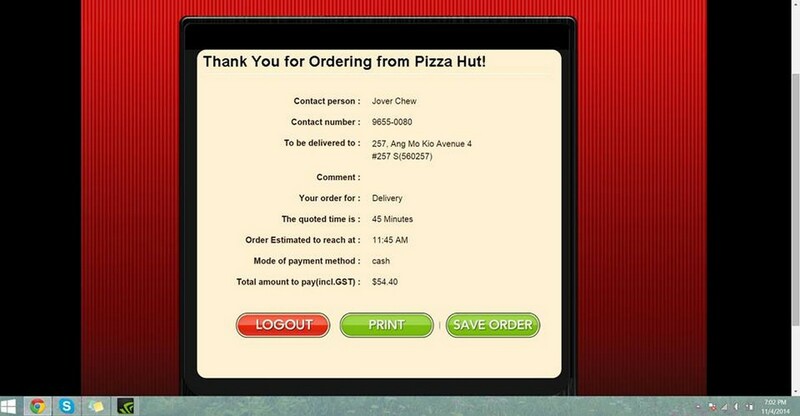 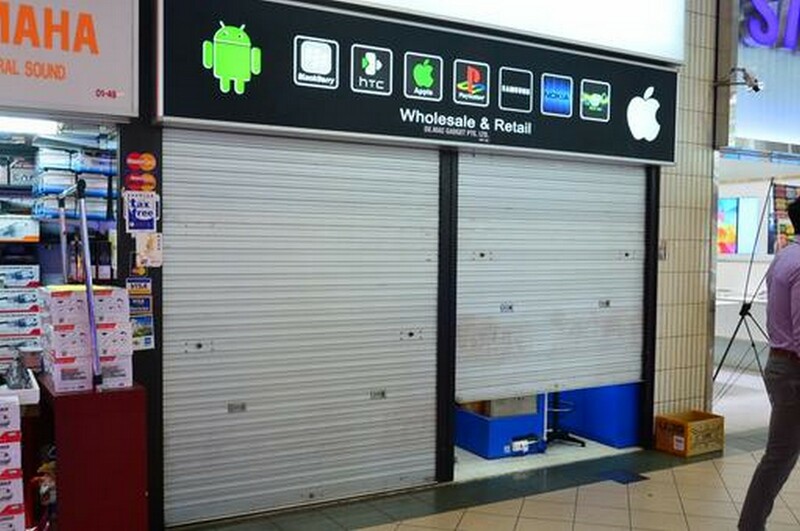 He said: "I called Case and they said they have not been able to contact some of the customers that complained. 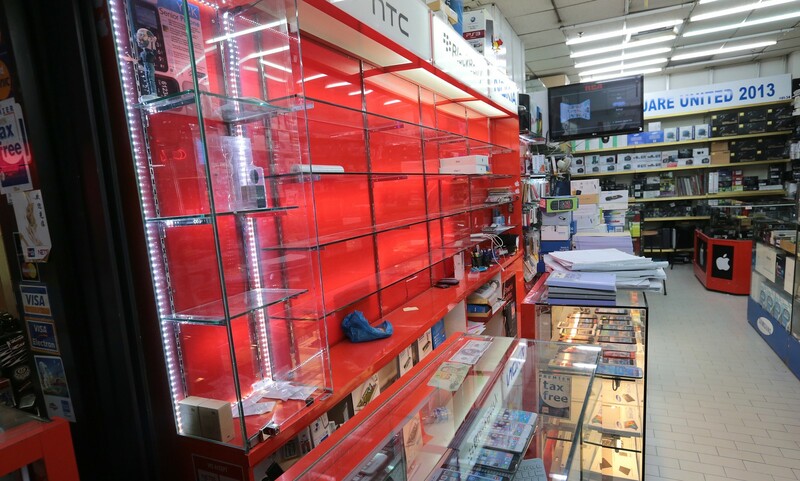 "Previously, my shop has had very complaints with Case, but in these past three months, the number suddenly grew and I wanted to know how to fix the situation." 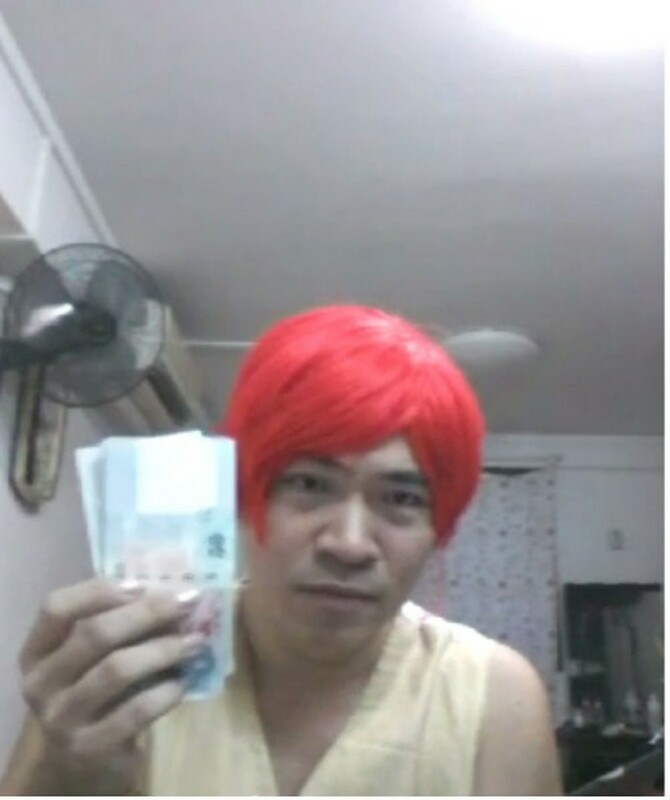 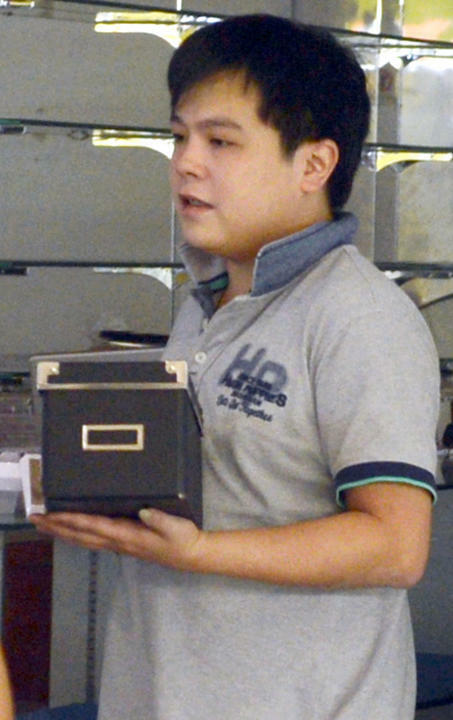 Mr Chung told Lianhe Wanbao that he does not entirely blame his workers for the complaints. 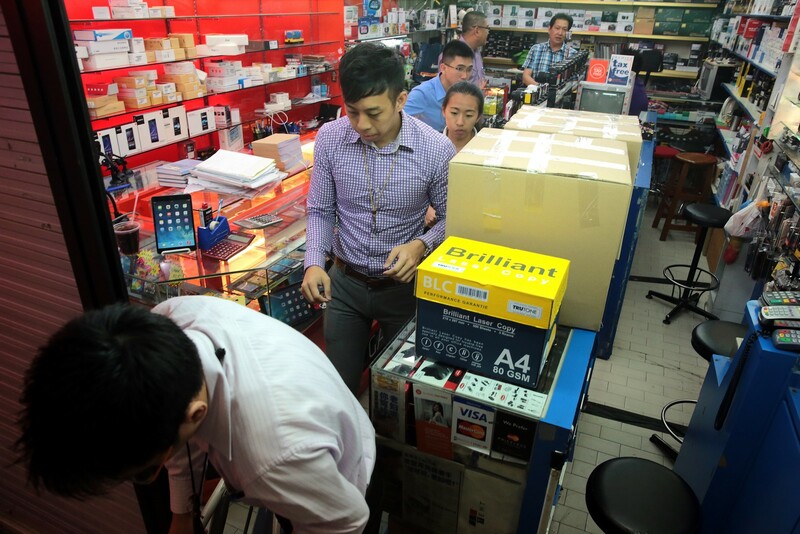 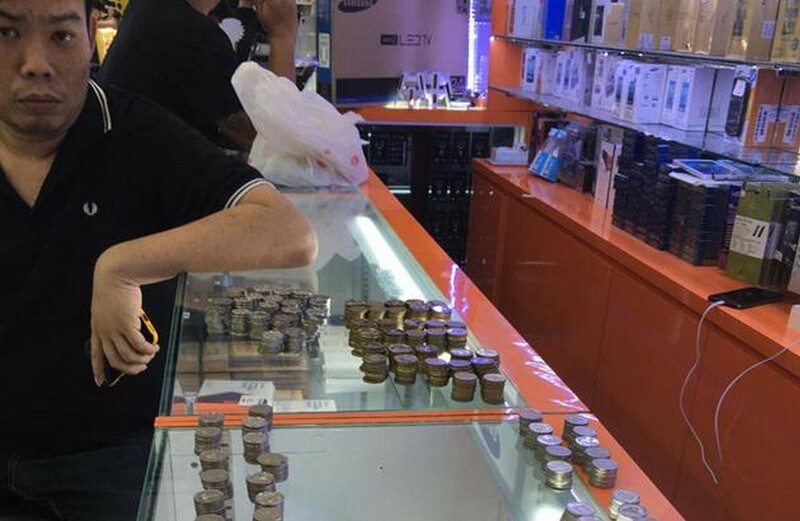 "Sometimes with price fluctuations, we cannot control the price at which we sell products. 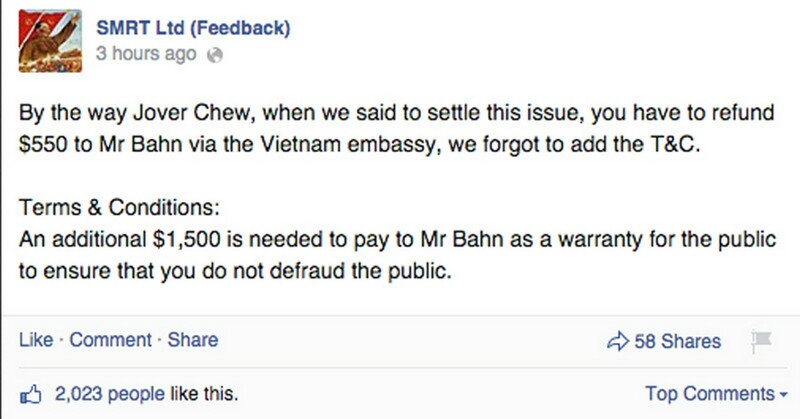 However, it is a two-way street. 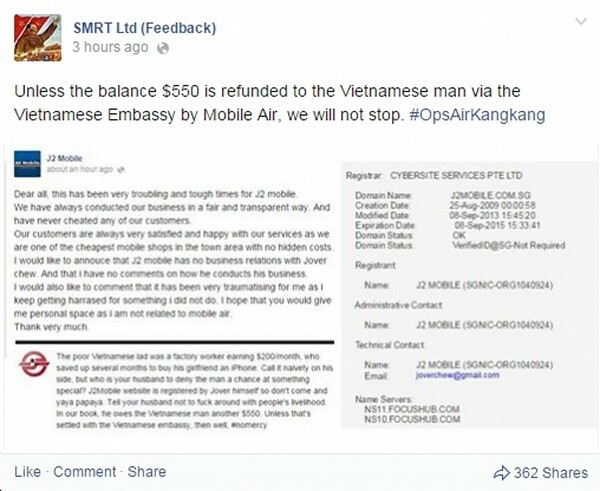 Both parties are responsible," he added. 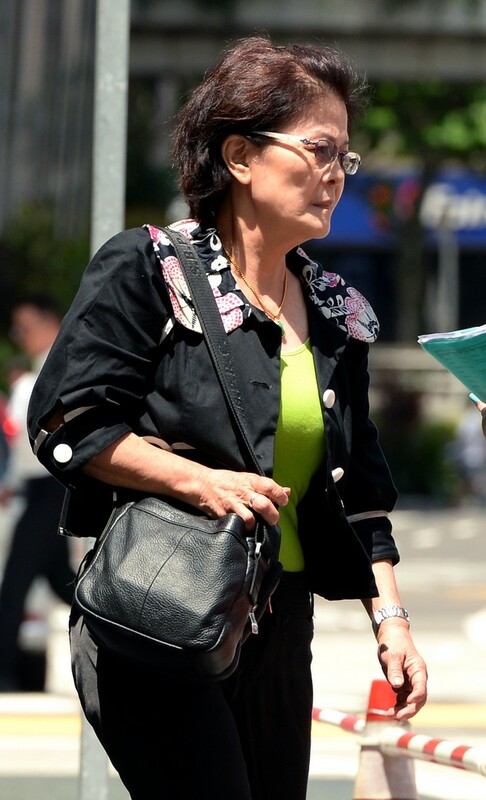 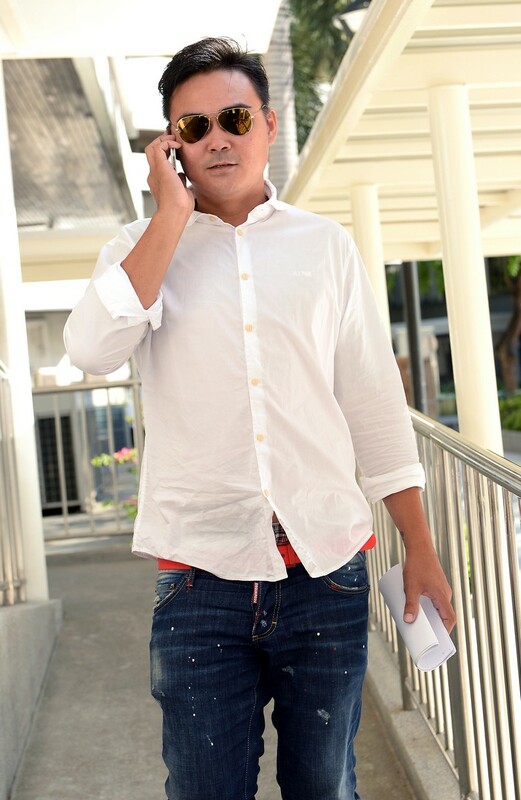 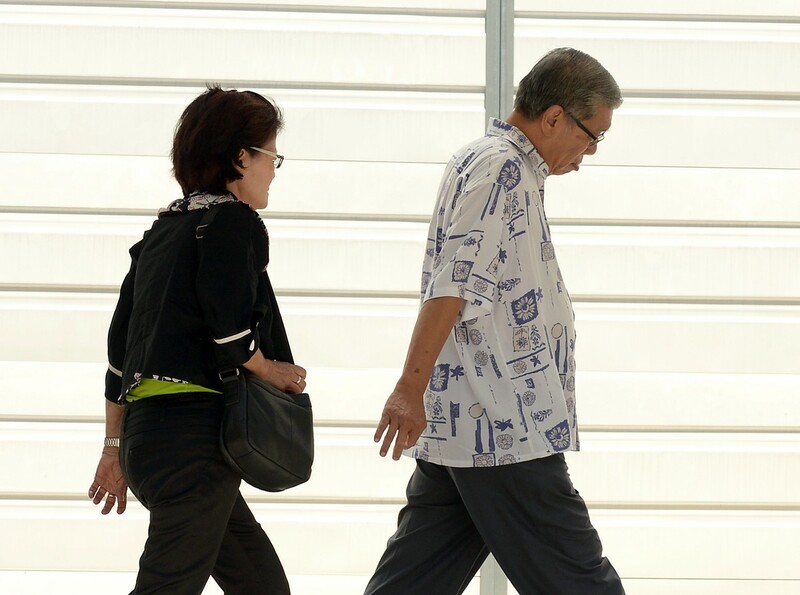 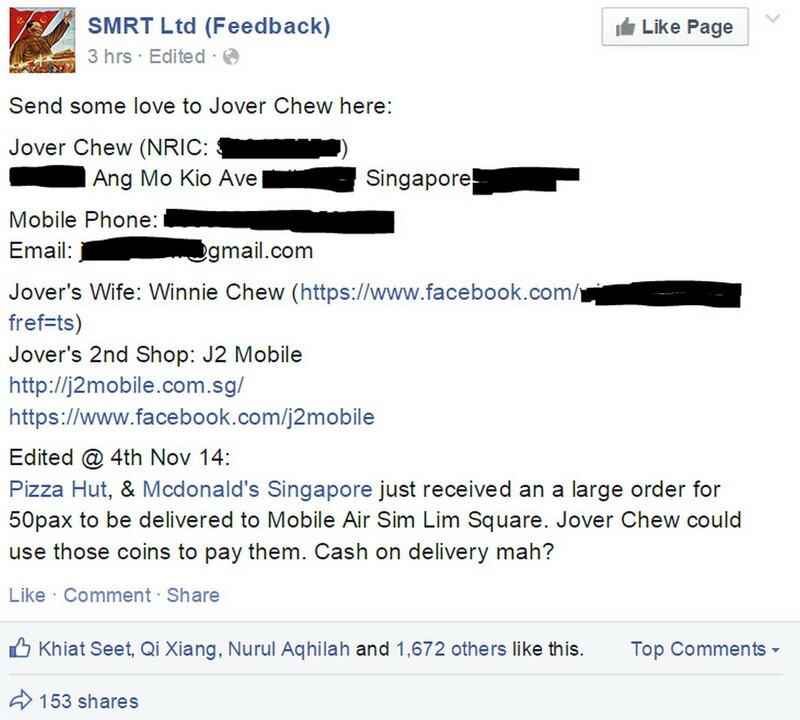 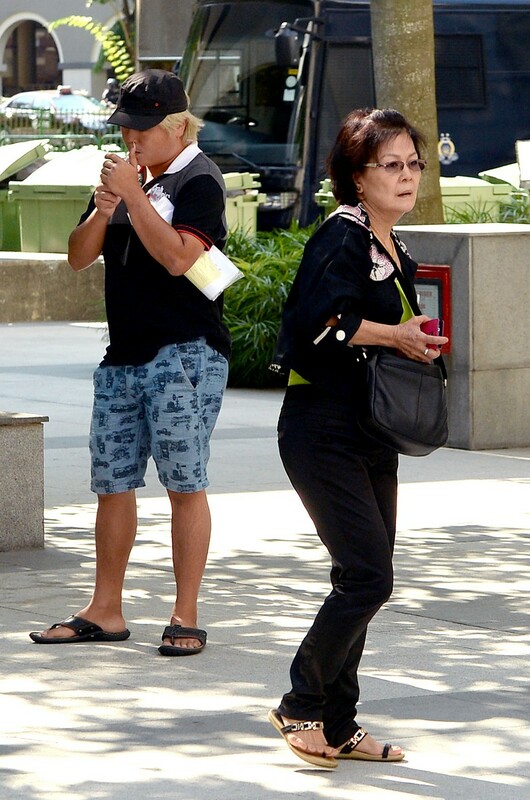 Mr Chung emphasised that he did not want to be the next "Jover Chew", saying that Mobile Air on the ground floor of Sim Lim Square was the source of all the negative publicity. 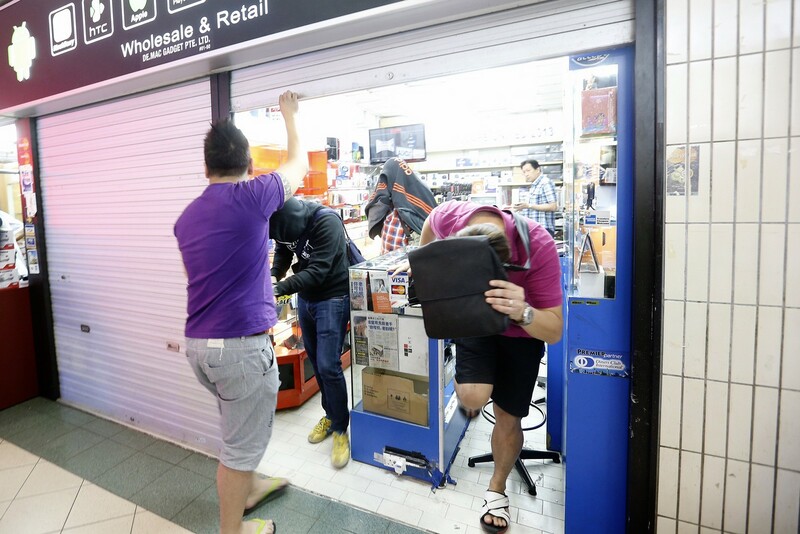 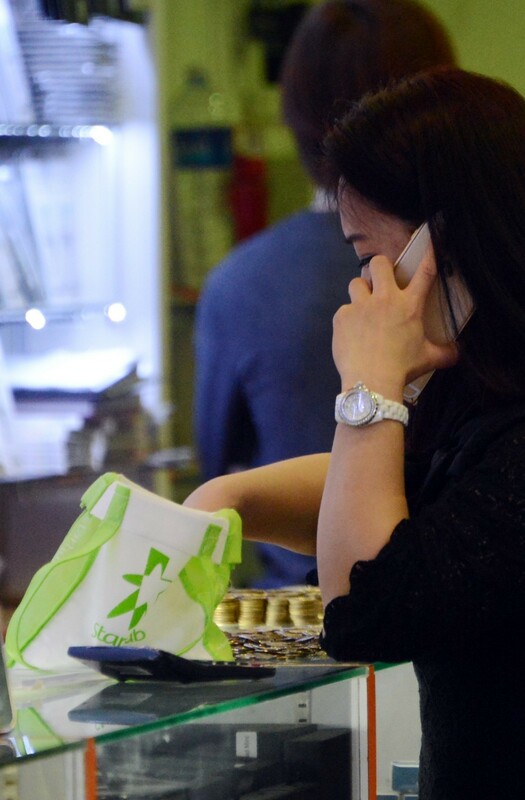 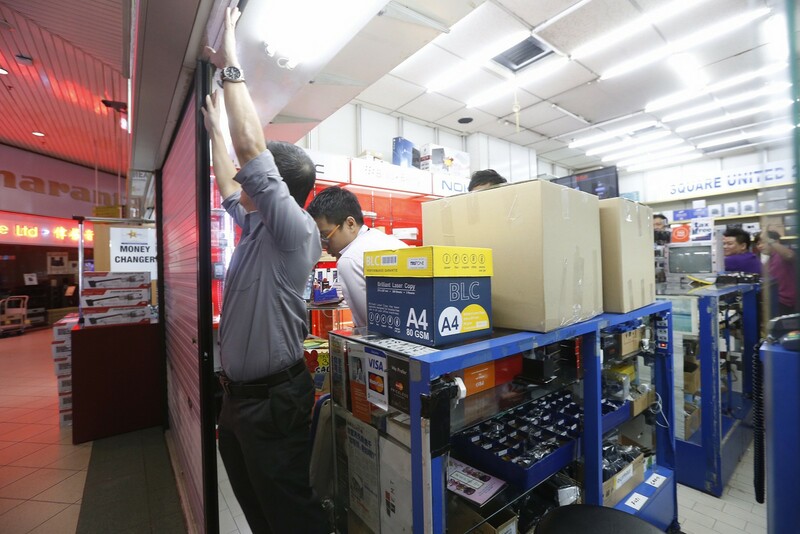 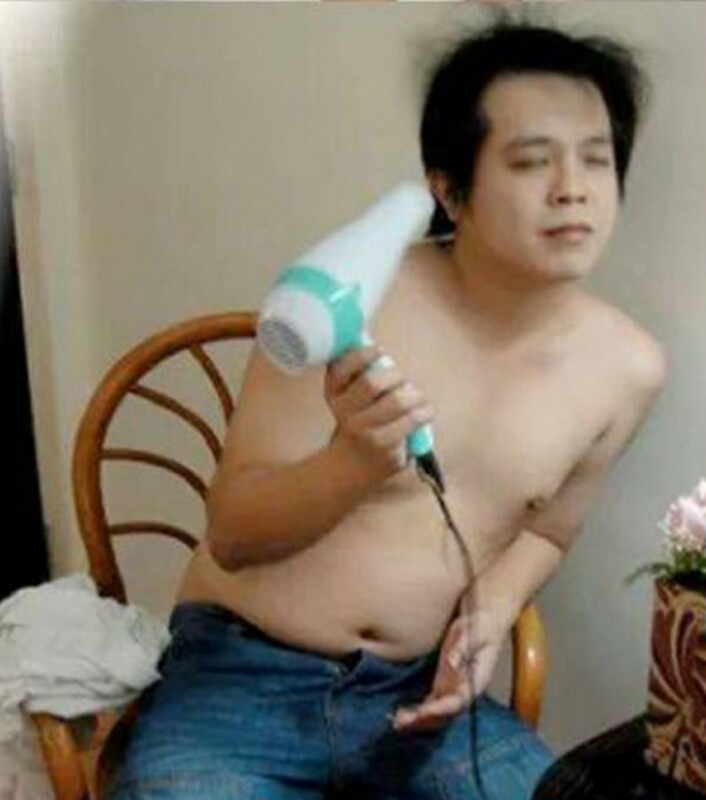 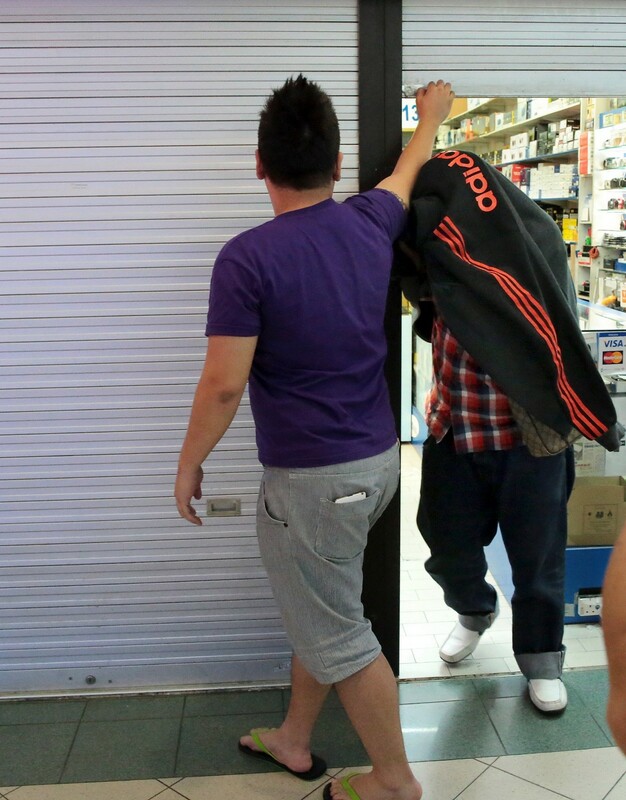 Mr Chew, who recently became notorious for unfair trade practices, including coercing mobile phone customers to buy in-house warranties at inflated prices, was last seen clearing out his shop Mobile Air over the weekend. 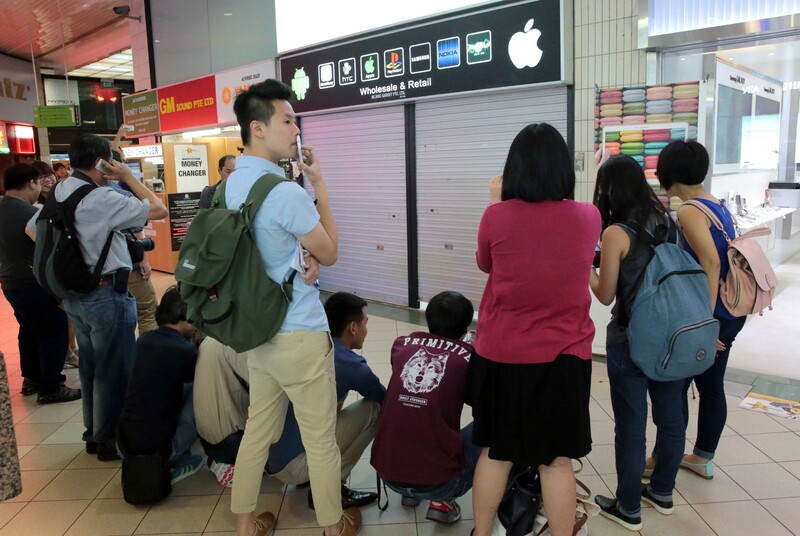 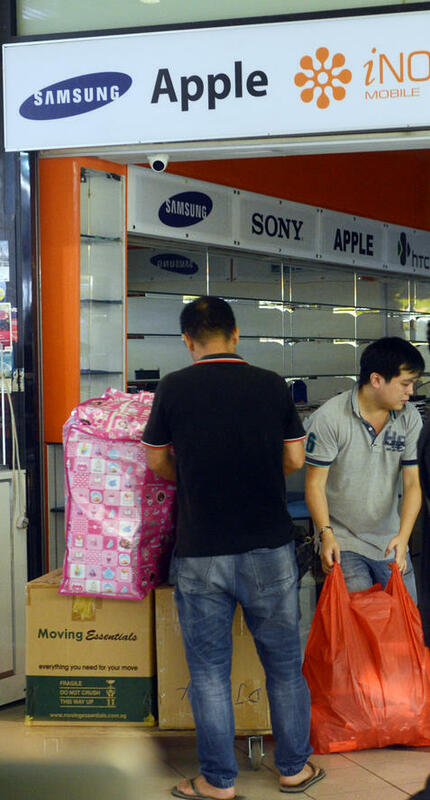 Gadget Terminal was closed when reporters visited on Friday.